Get involved in Snapshot Wisconsin today and learn more about the wildlife who call your property home! 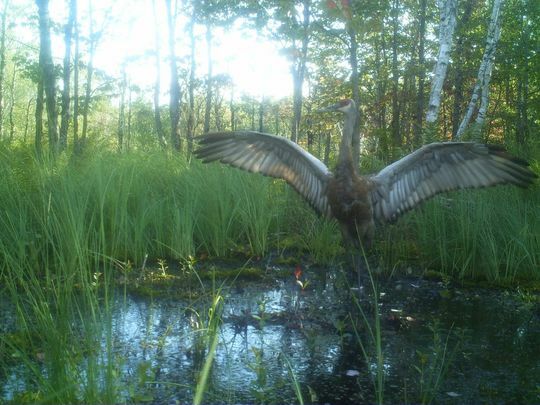 Snapshot Wisconsin is a partnership to monitor wildlife year-round using a statewide network of trail cameras. We rely on dedicated volunteers throughout the state to host cameras provided by Wisconsin DNR and send in the photos they collect. Volunteering to host a trail camera is a perfect opportunity to collect information that plays a direct role in determining hunting and trapping quotas. And, it’s free! Anyone in Wisconsin with access to ten or more contiguous acres of public or private land can apply to volunteer. Photos are classified by online volunteers on our crowd-sourcing website, dnr.wi.gov hosted by Zooniverse. These photos are used to help DNR staff understand wildlife population trends and animal behavior. Looking for more? Be sure to check out Snapshot’s monthly newsletter, which includes updates on what we’re learning from trail camera data. Or, head to dnr.wi.gov and search keywords "Snapshot Wisconsin."